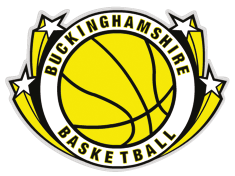 The Buckinghamshire Basketball Association was formally established at its Inaugural Meeting on 1st September 2010 after the former Bucks & Oxon Basketball Association voted to disband and establish separate associations for Buckinghamshire and Oxfordshire respectively. The Association is responsible for processing registrations for both clubs and players based or competing within Buckinghamshire on behalf of England Basketball. The committee is formed of volunteers from clubs across Buckinghamshire and elected at an AGM.